The cross stirs intense feelings among Christians as well as non-Christians. Robin Jensen takes readers on an intellectual and spiritual journey through the two-thousand-year evolution of the cross as an idea and an artifact, illuminating the controversies--along with the forms of devotion--this central symbol of Christianity inspires. Jesus's death on the cross posed a dilemma for Saint Paul and the early Church fathers. Crucifixion was a humiliating form of execution reserved for slaves and criminals. How could their messiah and savior have been subjected to such an ignominious death? Wrestling with this paradox, they reimagined the cross as a triumphant expression of Christ's sacrificial love and miraculous resurrection. Over time, the symbol's transformation raised myriad doctrinal questions, particularly about the crucifix--the cross with the figure of Christ--and whether it should emphasize Jesus's suffering or his glorification. How should Jesus's body be depicted: alive or dead, naked or dressed? Should it be shown at all? 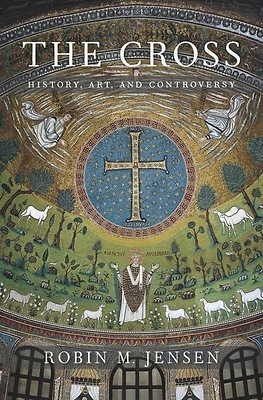 Jensen's wide-ranging study focuses on the cross in painting and literature, the quest for the "true cross" in Jerusalem, and the symbol's role in conflicts from the Crusades to wars of colonial conquest. The Cross also reveals how Jews and Muslims viewed the most sacred of all Christian emblems and explains its role in public life in the West today.